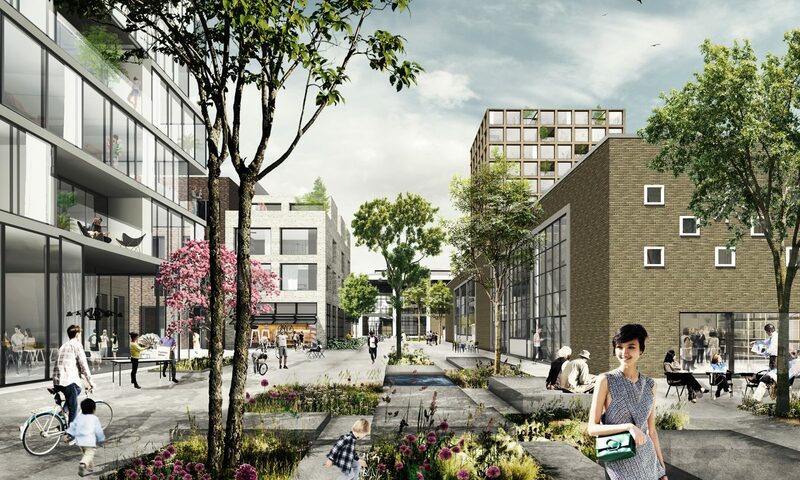 The Zuivelfabriek masterplan transforms the historic Campina dairy factory site in Eindhoven into a sustainable new mixed-use district. The site’s existing industrial heritage and waterfront context will host new functions for working, living and leisure. A strong public and social focus reflects the project’s circular ambitions and connects with the city’s entrepreneurial spirit. 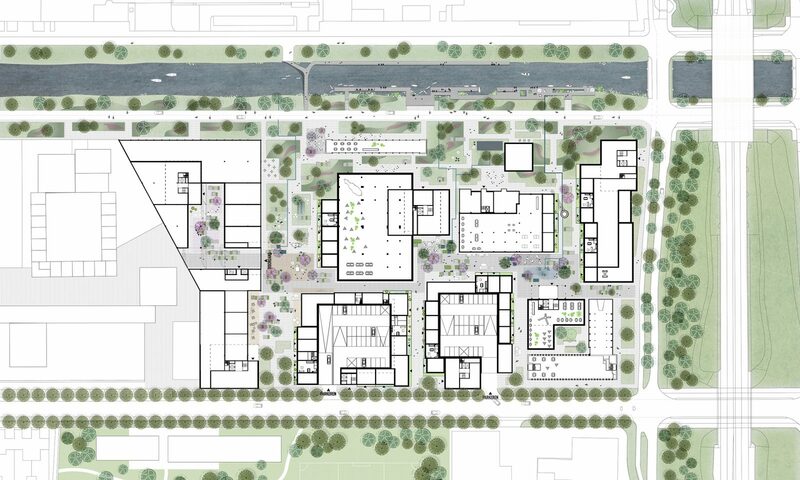 Here, participation and collectivity are key to creating a vibrant living lab and promoting the wellbeing of the future residents. 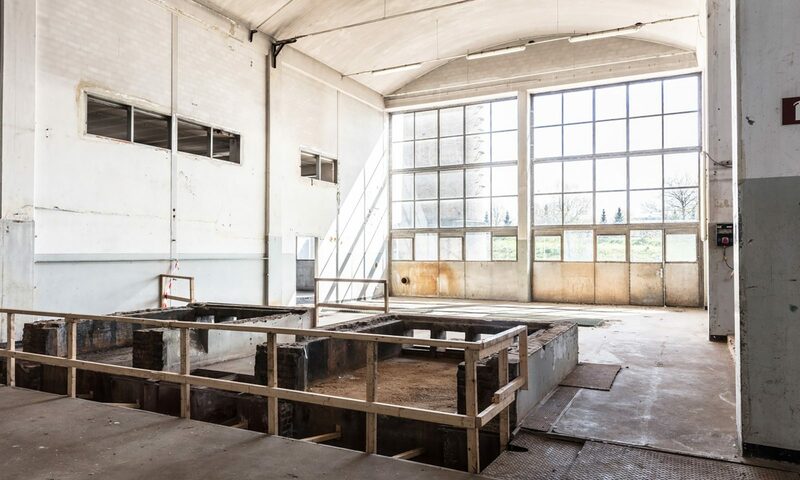 As the heart of the development, literally and metaphorically, the converted milk factory demonstrates the site’s circular ambitions through initiatives such as an urban farm, food market, local restaurant, workshops, smart recyclingsystems and renewable energy installations. 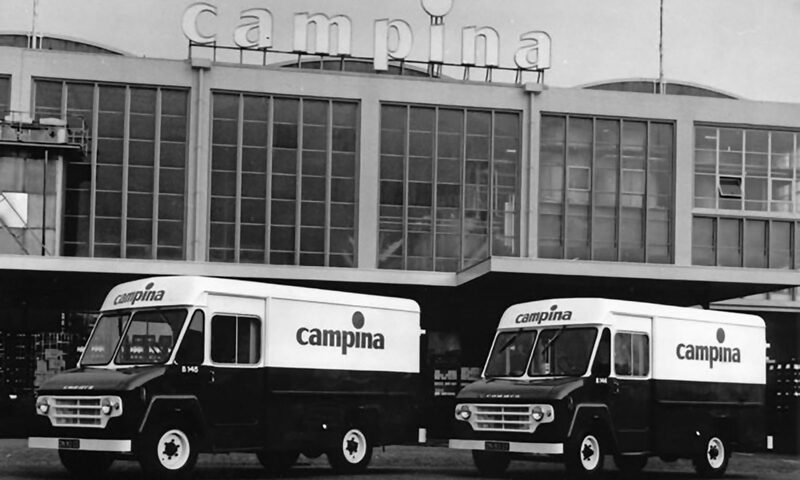 ‘De Campina’, as locals know it, is founded on the principle of collaboration. 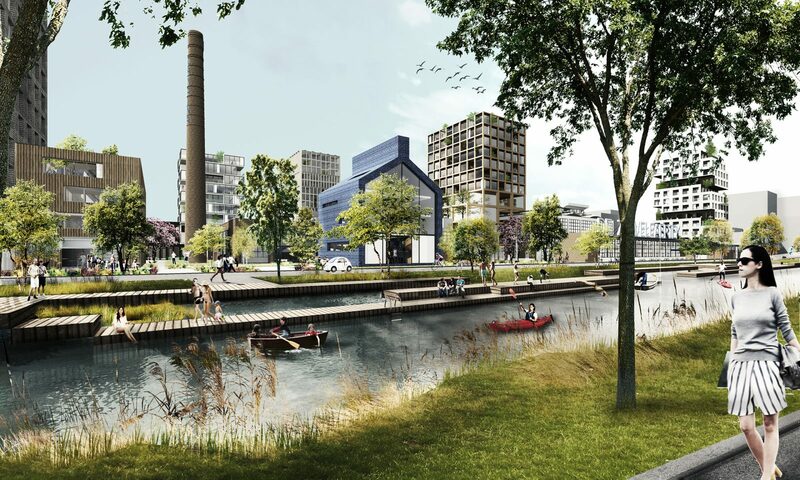 Whereas other successful transformations of post-industrial sites in Eindhoven focus on technology and design, this project aims to tap into the wealth of opportunities that the circular economy offers for this site. 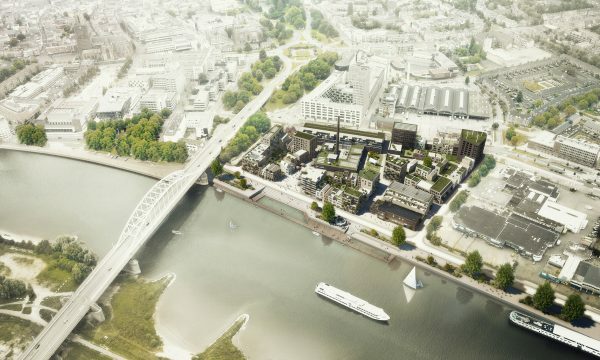 Our aim to facilitate future-orientated connections creates seemingly contradictory ambitions that enhance each other: appealing to both technically-minded young professionals and seniors; old factories and energy/ food supply; smart mobility and a ground level without streets and sidewalks; and park-like surroundings and a beautiful waterfront. 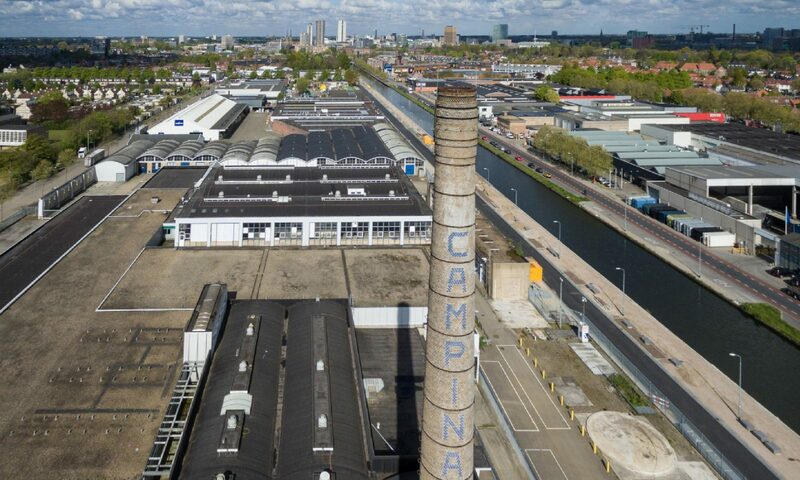 East Eindhoven is recognisable from afar thanks to the iconic Campina chimney. 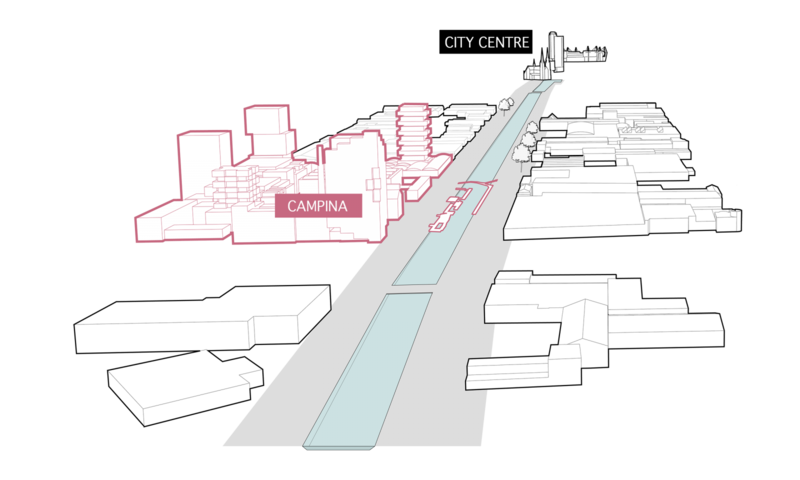 The Eindhoven Canal connects the site to the city in a straight line, the latter of which also lacks a function now and has somewhat become a barrier. That’s why the design of the public space, forms the starting point of the physical development together with the historic legacy and the focus on the new residents and users. Green, collective and public space are central to the development. 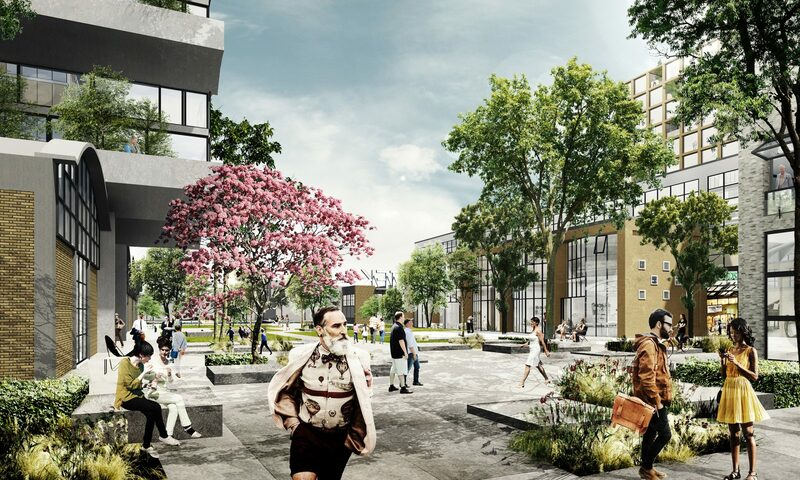 Different atmospheres within the site such as intimate green squares and courtyards, lively streets, the central boulevard and the open waterfront create a high quality of living and facilitate social interaction. 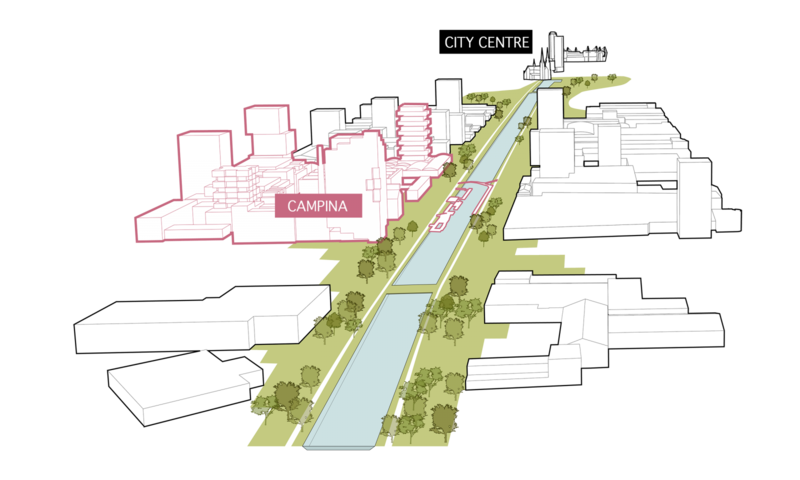 Canal Zone: a soft division between the quay and water through green areas and walkways; rainwater is drained above ground and, therefore, visible. 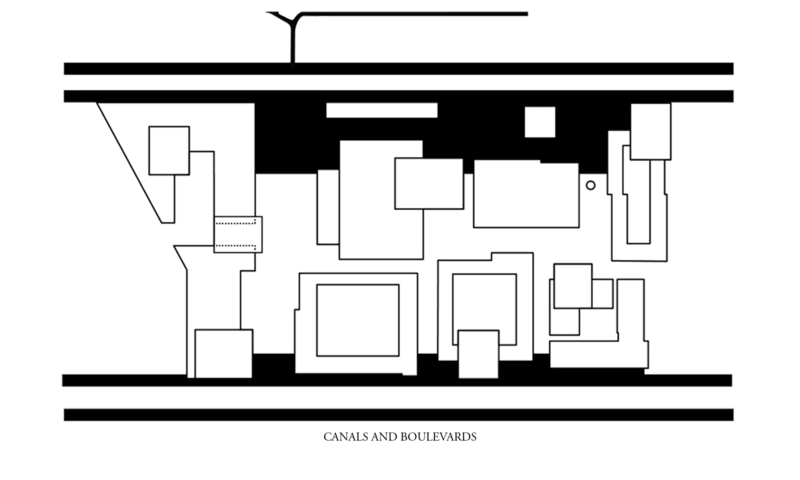 Connecting pedestrian zones: living and working on active ground floor spaces where residents can engage visually with the street. 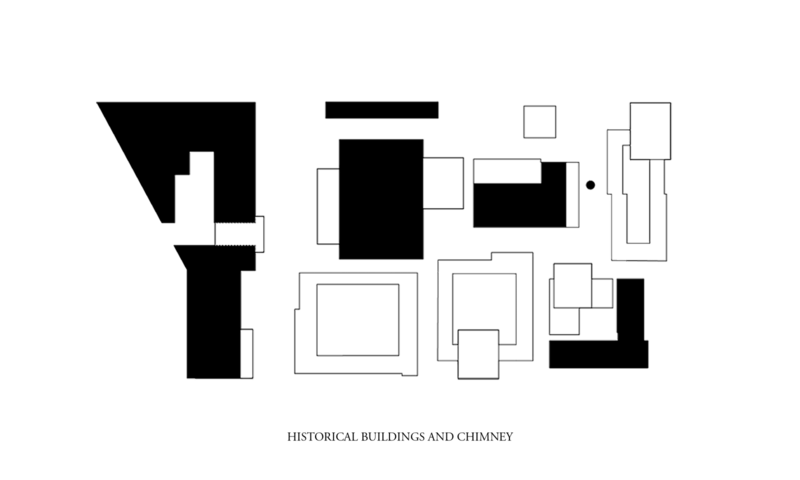 Intimate squares and collective spaces facilitate connections. 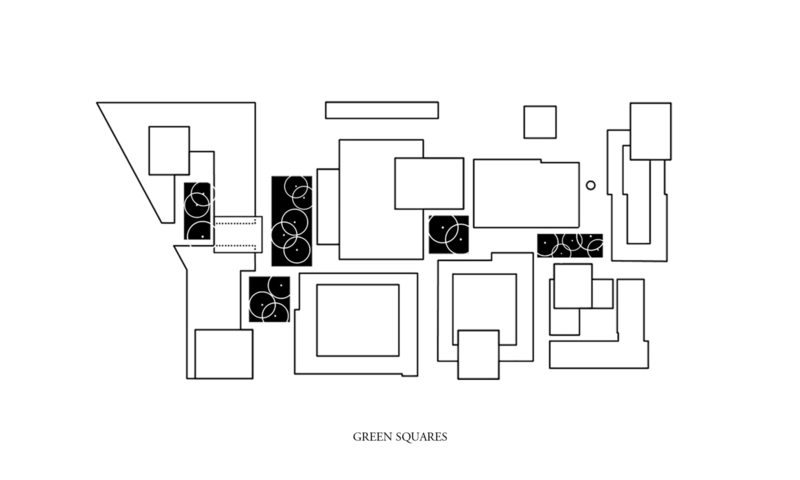 Green squares; a pleasant and dynamic living environment with terraces and play areas. 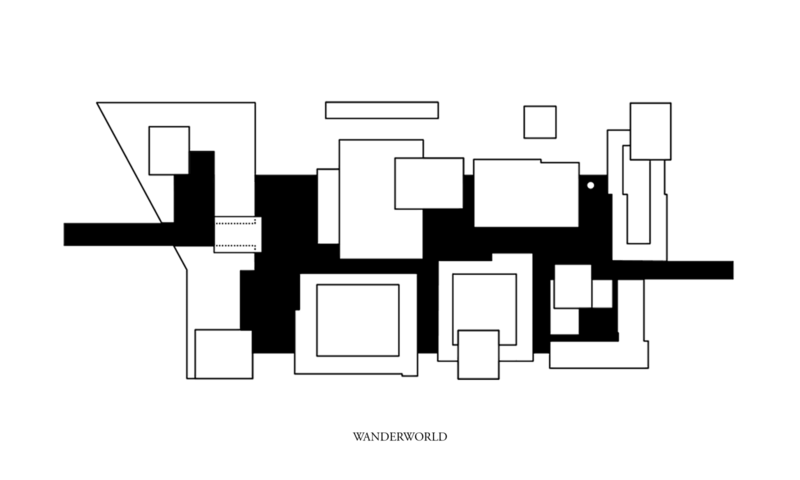 The plan’s circular ambitions are translated into concrete measures that take scale, time and space into account. 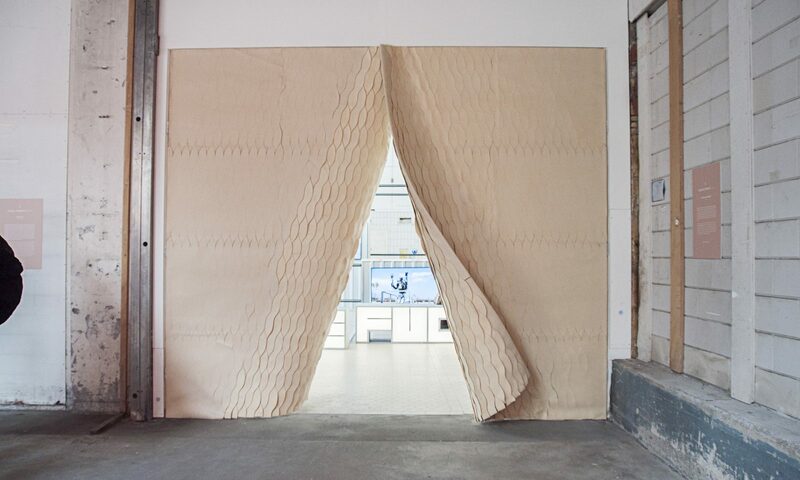 Existing structures will be reused; new buildings will be constructed from bio-based materials, are flexible and adaptable, and can be disassembled at the end of their life cycle in order to extract their raw materials. Energy is obtained from renewable sources and distributed through a flexible network. Water flows are separated per function and reused onsite to reduce the demand on drink water and restrict flooding. 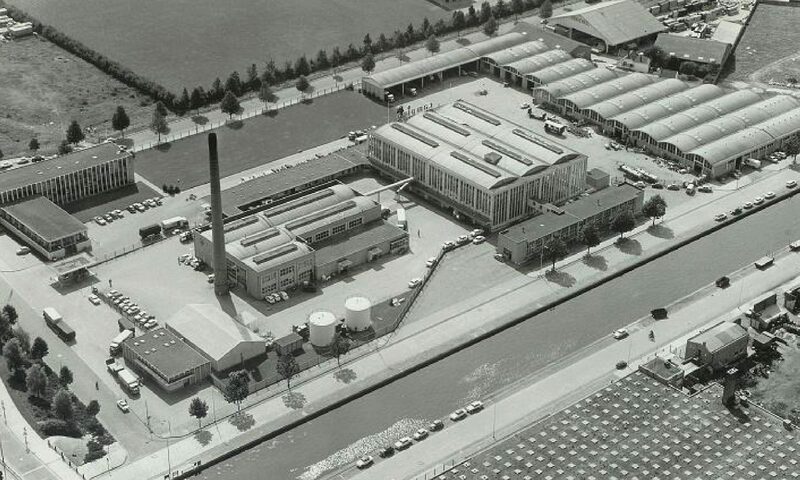 Combining repurposed old buildings and new architecture, four coherent building clusters form the basis for the redevelopment of the site: the office and canteen form the ‘cornerstone’; the boiler house and ice cream factory with the chimneys; the milk factory with milk arrival area is the ‘engine’ of the development, the bicycle sheds with garages form ‘the halls’. 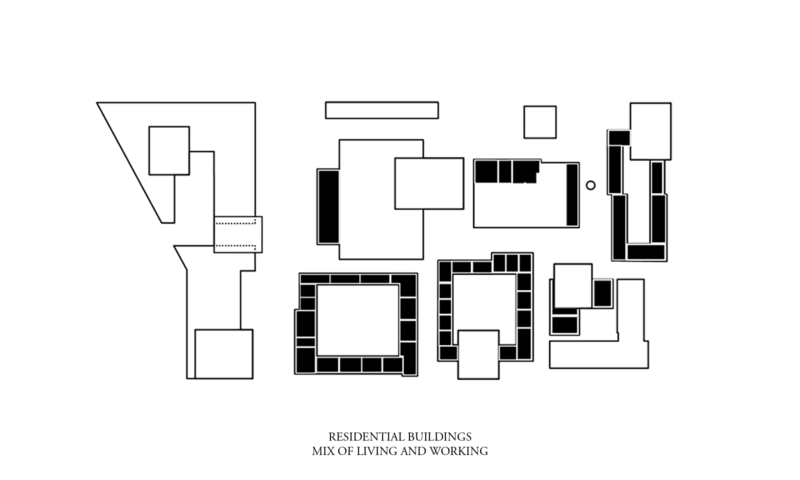 Repurposed old buildings are designated as hotspots. Creating a circular economy on this site offers a wealth of opportunities. 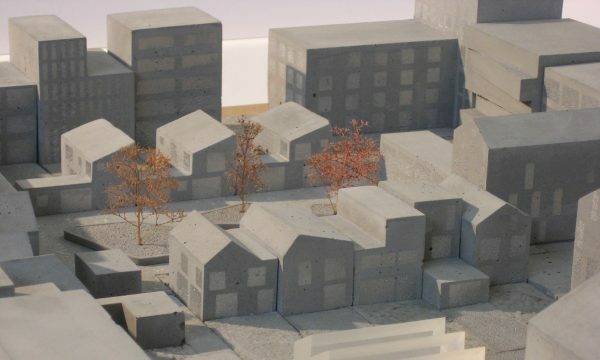 The idea is, for example, to transform the milk factory (Melkfabriek) into a Living Lab for a sustainable society and to complement it with new buildings that activate the site in a new way. Find a VR impression of the transformed factory hall here. 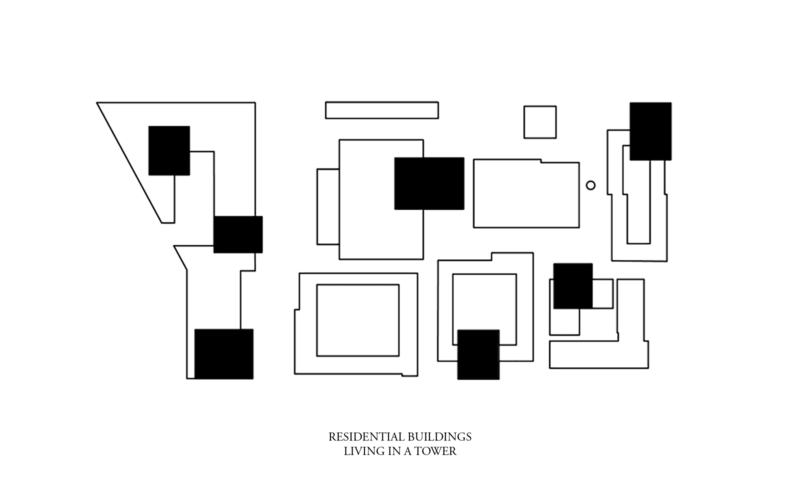 In the meantime, the factory hall already functions as the urban activator we envisioned. 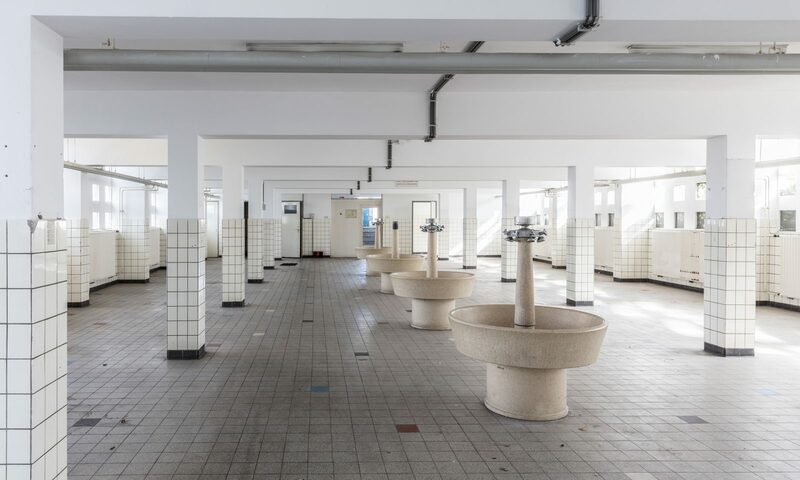 The hall is not waiting empty; in the fall of 2018 it welcomes the exhibition Robot Love and during Dutch Design Week the Graduation Show of the Dutch Design Academy Eindhoven – both events that turn the former factory into a place for meeting and exchange, contributing to the new identity of the Campina site.